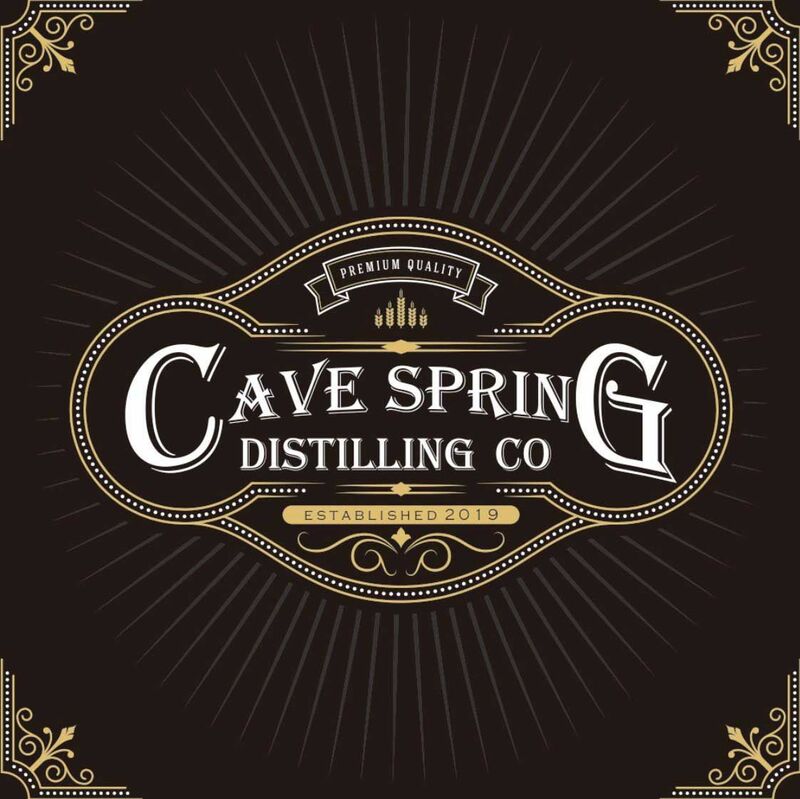 This is the logo that has been designed for a micro-distillery that is being proposed for Cave Spring. Enabling referendums still have to be approved by residents of the city. Who would have thought that a two-hour wait for dinner at the popular Linde Marie’s in Cave Spring might lead to a significant new business prospect for the city? Caney McStotts and his wife were passing through town, and he decided he wanted to take his wife to the popular steakhouse in Cave Spring. The two-hour line that night prompted the couple to mill about town and that was about the time McStotts thought Cave Spring might be the perfect location for a micro-distillery. The idea for the micro-distillery had been floating around in the back of McStotts’ and his business partner Garrett Rothman’s minds for some time, but they had not settled on a location. McStotts had done IT work for Rothman’s father at a textile mill in Calhoun when he was younger, so the two have known each other a long time. “He’s like a big brother to me; he’s always been there,” Rothman said. Rothman said he liked the idea of putting the business in Cave Spring because of the water supply. “It’s a lot like the caves up in Tennessee and Kentucky with limestone-filtered, award-winning water,” Rothman said. When Georgia passed legislation allowing for the development of micro-distilleries, they began to get serious about the idea. The legislation allows small distilleries to actually sell their own product, essentially eliminating the middle man. Cave Spring Downtown Development Authority Executive Director Sandra Lindsey said she was “super excited” when she was approached by McStotts and Rothman to help them find the right building. Lindsey said that after she took the idea to the City Council and got a favorable reaction, the wheels started to turn to make the idea a reality. A citizen-led petition drive to get liquor by the drink, package liquor and Sunday sales on the ballot in Cave Spring has been submitted to the council and certified by City Clerk Judy Dickinson with a sufficient number of signatures to move forward. City Attorney Frank Beacham said he is in the process of drafting the resolutions which will call for the enabling referendums. The earliest a vote could be held is March 19. The next available date would be June 18, however the actual date has not been established. If the referendums pass, the attorney would have to draft actual city ordinances which could stipulate such things as a required distance of any distillery from a school or church, perhaps a maximum number of distilleries and general parameters for hours of operation. McStotts said, at best, the new business could possibly be open late this year or, more likely, sometime in 2020. Once the city passes enabling legislation, McStotts and Rothman will still have to jump through a myriad of state and federal regulatory hoops to get the business open. The building they have chosen is owned by Wayne Coursey, at 24 Alabama St., right next to Rip Montgomery’s The Peddler antiques and collectibles. The building, which hasn’t been used for years, will require considerable renovation. Basically, McStotts and Rothman want to create a clear corn whiskey. At this point, there is no plan to serve food. McStotts said they’d love to have a place where folks who come to town to have dinner at Linde Marie’s could walk across the street and sit down to enjoy a post-dinner drink. “We don’t really want to be a bar,” McStotts said. He said they want to have a classy place where visitors can come in, taste a blend, maybe try something different and just enjoy it. “It’s not a jukebox joint; it’s the complete opposite,” Rothman said. “There will be tours and potentially some classes. People will be able to create their own flavors or try a mixture of the flavors that we’ll keep in stock.” He mentioned apple, peach, watermelon, even a coffee-flavored whiskey. McStotts and Rothman have been experimenting, using corn whiskeys that are already on the market and doing some flavoring tests. “Since the federal license has not been issued we do not produce anything yet,” Rothman said. The business partners believe they can be a nice addition to the tourism industry in Cave Spring. By scale, Rothman and McStotts will be limited to the production of no more than 500 barrels of whiskey a year. “Truth be known, if we ever reach that threshold or that quantity, we’d both be pretty doggone happy,” Mc­Stotts said.